Using postmortem human brains and human embryonic stem cell models of brain development, Salk Institute researchers discover a new mechanism to generate DNA variation in human neurons. Here, human embryonic cell- derived neurons stained for a neurons specific marker (Tuj1, green, DNA show in red) show remarkable diversity. 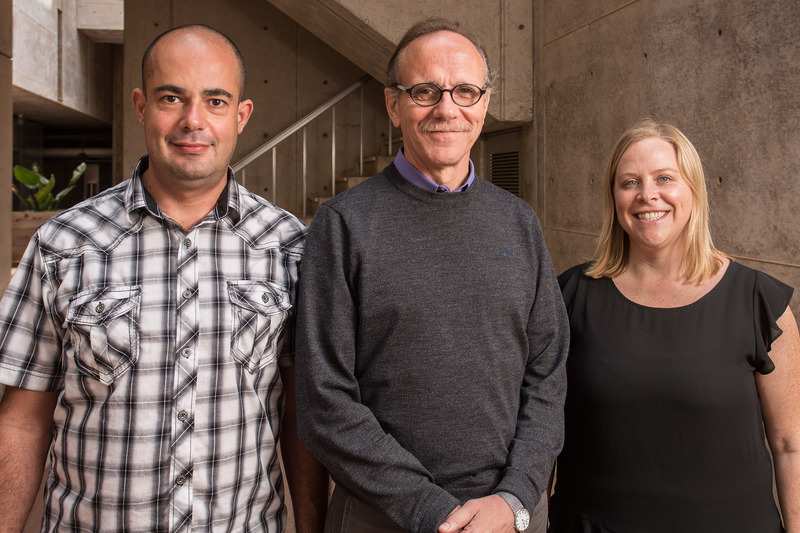 LA JOLLA—Our brains contain a surprising diversity of DNA. Even though we are taught that every cell in our body has the same DNA, in fact most cells in the brain have changes to their DNA that make each neuron a little different. 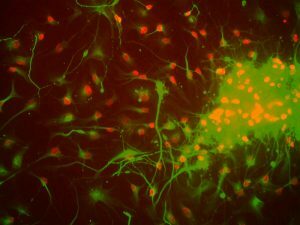 The “jumping gene” L1 cuts DNA in human cells to generate neuronal genomic diversity. 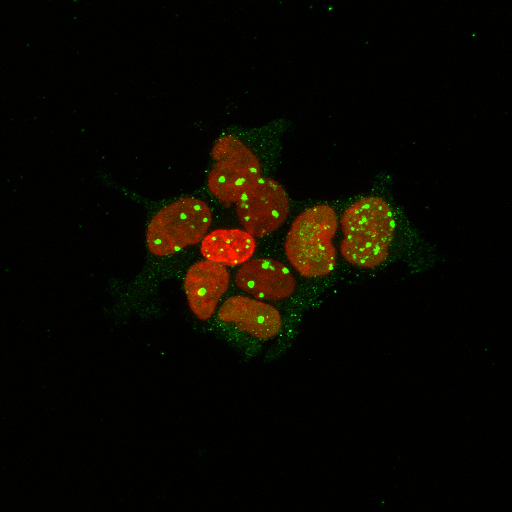 Cells expressing L1 (genomic DNA shown in red) have high levels of DNA breaks as visualized by 53BP1 staining (green) which repairs broken DNA.